Should the privileged in this world help the less fortunate? Should your life be about giving, not just taking? Should personal growth be best achieved through applied knowledge and lived experience? Is travel about growing as an individual for you? At Hands on Development tours, we believe that connections between people and the experiences created by travel can enrich and change the world. We also believe that travel should always benefit both those traveling and the communities they visit. That’s why Hands on Development tours to Nepal provide life-changing travel experiences for travellers and support the social and economic development of the communities they visit. Our tours are perfect for school groups, universities and mature age travellers. When you travel with us you’ll expand your world view, have positive effects upon the people you meet and upon yourself. When you travel with a purpose your experiences go way beyond seeing just beautiful destinations – to meet, connect and collaborate with new culture, communities and friends! 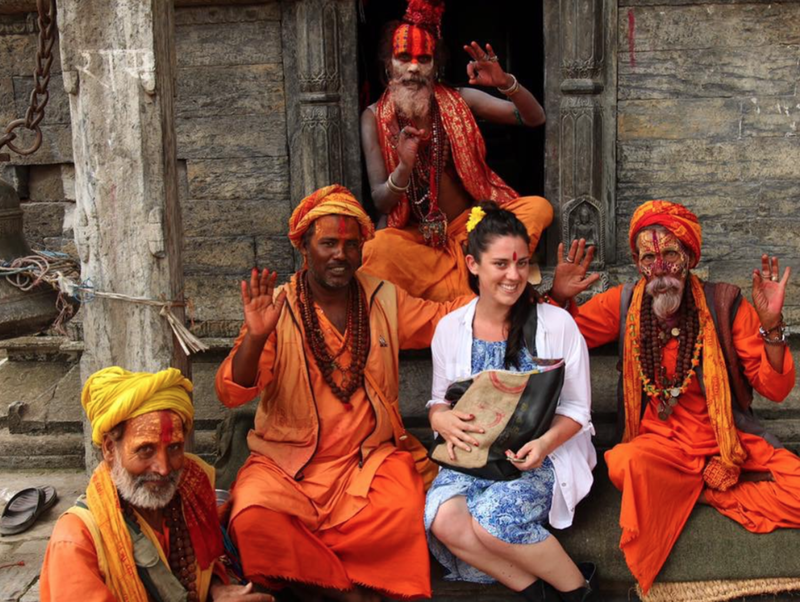 Our tours will immerse you in a deep and enriching Nepalese experience. Learn the history and culture of this beautiful country from the people who call Nepal home as they share with you stories of their history and hope for the future, their challenges and their opportunities. Our tours strive to provide enriching experiences for both travellers and the communities we visit. We encourage you to share your skills and knowledge with local communities to make a positive difference and better their lives. You will have the chance to take home some new skills and gifts as you spend time with locals, learn their way of life and share day-to-day experiences with them. Thanks to the deep relationships Hands on Development shares with the communities you visit, you will be able to share your experiences and connect with the locals as they welcome you into their lives. Our tours will let you immerse yourself in the traditions, cultures and philosophies of the diverse religious history of Nepal and gain an understanding of how they influence today's Nepal and its future. Nepal offers stunning natural beauty with a variety of different terrains. Enjoy the landscapes while trekking the lower Himalayas, making lifelong connections along the way.